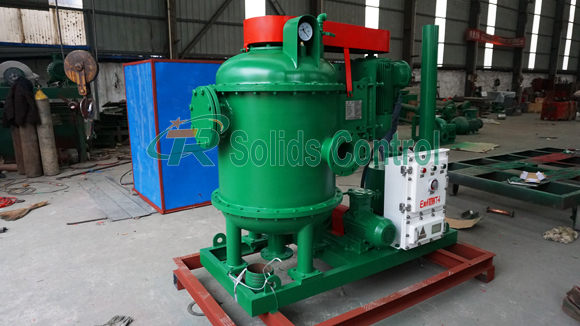 Vacuum degasser is one of the essential solids control equipment in oilfield drilling. Its main function is to remove the small entrained gas bubbles left in the mud by mud gas separator. On Sep.3rd, 2018, our TRZCQ240 vacuum degasser for Indian customer was sent to the port for shipment. The structure of TR degasser is reasonable, compact and has excellent performance. The separation canister is arranged in vacuum tank of the degasser to improve the separation efficiency, realize the negative pressure and slurry discharge actively, and improve the processing capability of the whole machine greatly. TRZCQ240 vacuum degasser uses the suction function of vacuum pump to form a negative pressure zone in the vacuum tank. The mud enters the slurry pipeline in the vacuum tank through the suction pipe under the action of atmospheric pressure. The slurry pipeline transports mud to the impeller. By rotating impeller expands the mud fully. Under vacuum condition, the gas immersed into the mud overflows. Through the suction of vacuum pump, the gas is discharged outside the vacuum tank, and mud flows to the bottom of tank. And the negative pressure is forced to discharge the mud at the discharge port. TRZCQ series vacuum degasser is suitable for gas-liquid separation of drilling fluids with various parameters. The viscosity range of drilling fluids to be treated is Markov 20 -80s. 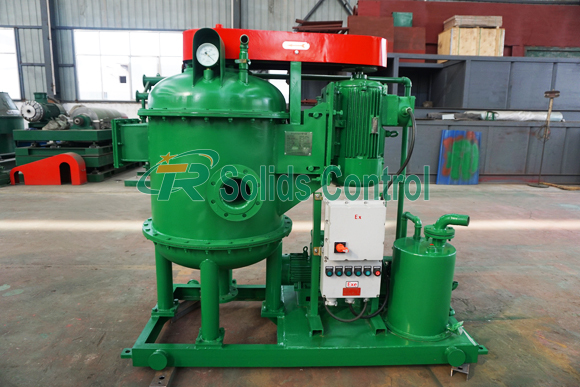 TR Solids Control is a professional manufacturer of vacuum degasser. TRZCQ series vacuum degasser has reasonable structure, stable operation, low noise, long fault-free operation time and reliable operation. In addition, our main product like shale shaker, mud cleaner, decanter centrifuge, shaker screen, mud agitator, centrifugal pump, jet mud mixer are hot sale among clients. Welcome your inquiry!